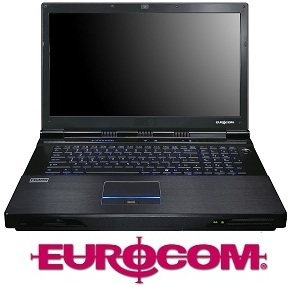 Eurocom Corporation (www.eurocom.com) a developer of long lifespan, fully upgradable Notebooks, high performance Mobile Workstations and Mobile Servers announces support NVIDIA® 3D Vision™ in the new EUROCOM Panther 4.0, powered by the super powerful dual NVIDIA GeForce 580M in SLI. “The Panther 4.0 3D is here, a system that offers the power of 580M SLI with the enhanced viewing capability of NVIDIA 3D vision, to give our customers exactly what they want” says Mark BIalic, Eurocom President. The EUROCOM Panther 4.0 Super-Notebook supports an MXM 3.0b interface with the ability to support two 100W GPUs in AMD CrossFireX and NVIDIA SLI. The newest and most powerful AMD Radeon, NVIDIA GeForce and NVIDIA Quadro graphics processors are supported to give Eurocom customers the ultimate flexibility to customize their Panther 4.0 into the ultimate Gaming System, Professional Mobile Workstation or CUDA development system. The EUROCOM Panther 4.0 uses quad channel memory, and enables the Panther 4.0 to initially support up to 32GB of DDR3 1600MHz RAM via four 8GB SODIMM 204 pin modules. With such massive amounts of RAM available, the Panther 4.0 becomes a great tool for virtualization and server class environments. The Eurocom Panther 4.0 supports complete line of Intel LGA2011 processors , consisting of Intel Core i7, Intel Core i7 Extreme and Xeon processors. The three types of processors offer customers various levels of computing capabilities. The Panther 4.0 is the world’s first Sandy Bridge-E notebook with a full X79 chipset using the LGA2011 socket. “For our professional clients using our Mobile Workstations with NVIDIA Quadro GPUs, support for Quad buffered 3D technology gives them a great 3D experience on a mobile super computing platform” explains Mark Bialic.